Loyalty5 provides with a personalised loyalty mobile app. Agilysys provides Point of Sale solutions for restaurants and hospitality. It offers an array of cloud-based and wireless solutions to streamline operations and enhance sit-in or take-out guest experience. AREA101 designs catering e-commerce software solutions used by corporate, education and healthcare facilities to manage catering operations. This Software as a Service “SaaS”” company that delivers business to business “b2b” e-commerce solutions. Bar Pass Limited is the creator of Bar Pass, a mobile application which enables customer of bars and restaurants to order and pay for their food and drinks through their mobile phones. 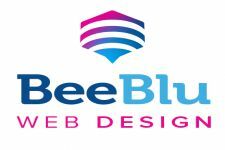 Beeblu is a a web agency that brings together web design, motion graphics and commerce to create websites. Bluebird provides a complementary range of technology products and services for Restaurants and Hospitality businesses. BlueBird is a reseller of the Revel Systems POS and it’s integrated LivePepper Online Ordering solution. CaterSOFT Occasion is an online softwares that was designed by a group of caterers to help catering and event organising companies to organise their events more professionally and efficiently. Centegra provides Point of Sale systems and tills to the quick service, restaurant, pub, bar and hospitality sectors. The back office is cloud based and interfaces with labour systems, 3rd party supply chain management systems, accounting, cash and bank management systems. CityHawk focuses on offering diners the best places to eat. The CityHawk app used for table booking is compatible with Android and Apple iOS device. Clover is a cloud-based Point of Sale platform which integrates the functions of a cash register, a card payment terminal and a POS system. It consolidate tasks such as invoicing and accounting into a single unit and collects customer data to use in social media and gives access to a market place of additional business apps. Comtrex Systems designs, develops, supplies and supports Point of Sale software and ePOS hardware to the hospitality industry. CSY Retail Systems provides an enterprise EPoS and ecommerce solutions for retailers. Cunninghams is a provider of Electronic Point of Sale solutions for Hospitality. Datasym has been a Point of Sale solutions provider for over 25 years for chain bars, clubs, pubs, cafes, hotels, restaurants and fine dining. Datasym modular software and seamless integration with EPOS suppliers allows to tailor its solution to fit the needs of single site or multi site restaurants. Dinerware is a Seattle-based company which provides restaurant Point of Sale software solutions to the hospitality industry. Designed for iPhone, iPad or Android use, Dinerware can be found in upscale restaurants, cafes, bar and grills, fast casual restaurants, counter service establishments, quick serve restaurants, hotels and wineries. DineTime Host is an affordable guest management app for a restaurant. In complement, DineTime Host for consumers connects guests to participating restaurants. DineTime was developed by QSR Automations, a global leader in advanced restaurant technology. eMENUS is a digital Menu software that highlights your food & beverage options and is developed by Cendyn Arcaneo. Epicuri is a cloud driven, tablet Point of Sale system developed by ThinkTouchSee, a technology innovation start-up. Epicuri hosts features that helps restaurants book, welcome, service and settle guests with the aim to help restaurateurs better manage their guests experience. Epos direct is a provider of combined Epos solutions worldwide for cafes, restaurants, takeaways, pubs, bars and additional hospitality businesses. EPOS Group is specialized in Electronic Point of Sale systems for several sectors including bars, pubs, convenience, fast food, grocers, restaurants, clubs, hotels, farm-shops and bakeries. 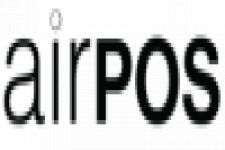 EPOSability delivers software and hardware for everything from POS and wireless to bespoke mobile apps and payment technology. We ensure your technology is implemented seamlessly to allow you to properly scale your business. What Features for Your Restaurant’s Online Ordering Solution? Restaurateurs, should you give in to delivery platforms?